Avatar Arrives on the iPad ! 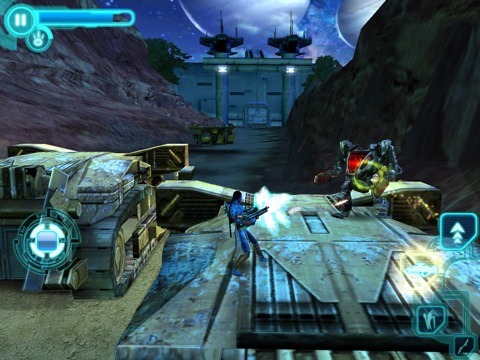 After the release of James Cameron’s Avatar for the iPhone and iPod touch, Gameloft today has released the popular title for the recently launched iPad as well. This new game will make you enter the beautiful and dangerous world of Pandora with HD graphics on the 9.7-inch display of iPad that bring the war between humans and Na’vi to life. You will be able to re-explore every aspect of Pandora on the iPad, the world created by James Cameron and discover all the 15 levels, from human-built mines and military strongholds to waterfalls and jungles alive with bioluminescence. While discovering Na’vi fighting techniques, you can train your precision as you master the bow and perform combos with your fighting staff. You will also be able to master human weaponry including high-powered guns. Based on the film story and developed by Gameloft, James Cameron’s Avatar for the iPad has amazing graphics, sound effects and story line that can keep you busy playing for hours and hours. Graphics that proved stunningly smooth on iPhone 3GS, are reportedly having even better performance on the iPad. For those few of you who may not know, Avatar is a science fictional epic film which is written and directed by Oscar winning director James Cameron. James Cameron is the same man who was behind blockbuster movies in the 90’s like Terminator and Titanic. 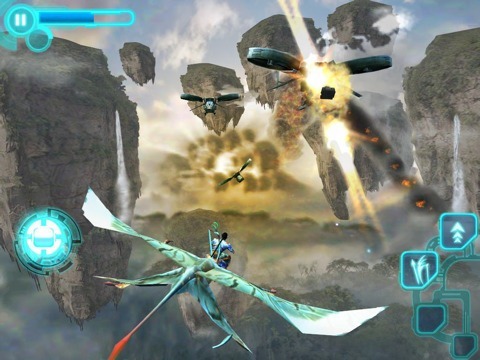 You can purchase James Cameron’s Avatar for iPad from the App Store for US $9.99. Check out our iPad Apps Gallery to explore more apps for your iPad. do you want all the sports? all the news? all the shopping? all in one web page? do you want to find a way to surf the web easely? It works on all browsers: firefox, explorer, safari, chrome and even opera. set this page as your home page, and see how internet becomes a lot easier. its especially usefull for the new iPad and iPhone. This looks very s3xy! I hope I get an iPad soon. 3GS app, stylish look,portable and yet paper weight = iPad . It is becoming favorite among students, business persons and many other fields like medical, transport. We can turn our iPad into iphone,camera using app ,what else we need.